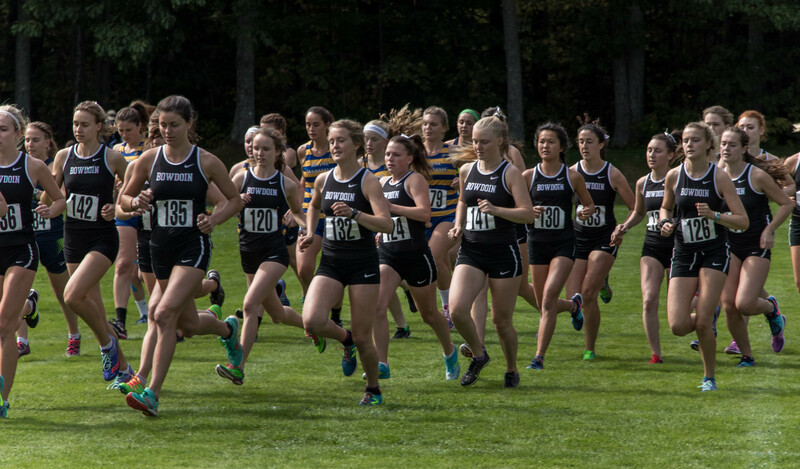 Running wild The women's team competes in the Bowdoin Invitational II. This weekend, the teams finished their seasons with the New England Regionals. Racing in the New England Regional on the fairway of a golf course last Saturday, men’s cross country captain Ben Torda ’18 placed seventh, qualifying for the NCAA Division III Men’s Cross Country Championship which will be held in Illinois. Sarah Kelley ’18, women’s team captain, placed 19th in her race and made the All-New England team for the third time in her career. The men’s cross country team finished ninth overall and the women came in 12th, which was a disappointing showing compared to each team’s sixth place goal at the beginning of the season. Depth in cross country refers to the time gap between the first Bowdoin runner to cross the finish line and the fifth. According to Slovenski, it is ideal to have this gap be less than a minute—a challenge given Torda and Kelley’s competitive times. Massachusetts Institute of Technology (MIT) swept the men’s and women’s regionals, running in a pack to shorten the time gap. 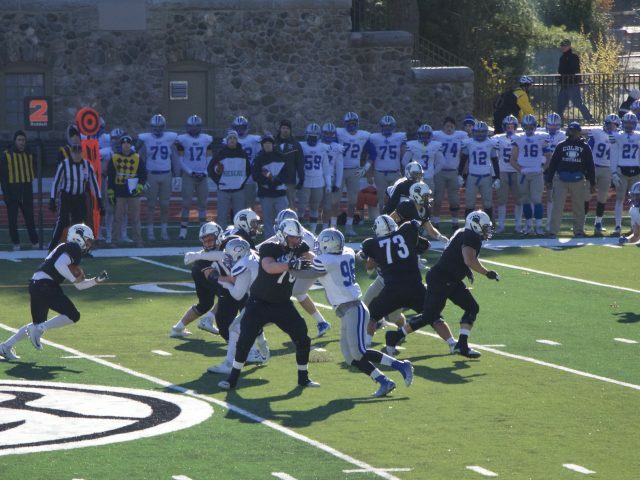 Pack running has been a consistent strategy for Bowdoin’s team. Shipley ranked second in the regional race amongst the Bowdoin women in her rookie season. Slovenski said he will be depending on her and captain Julia O’Rourke ’19 to lead the team next year. 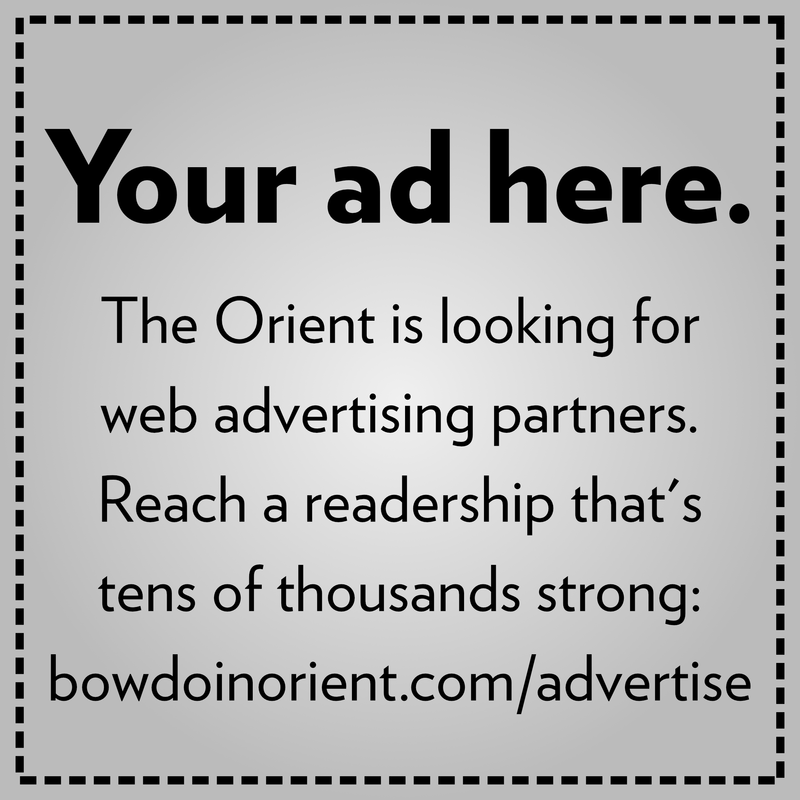 Cross country races are inherently individual, but a strong sense of teamwork contributes to Bowdoin’s results. 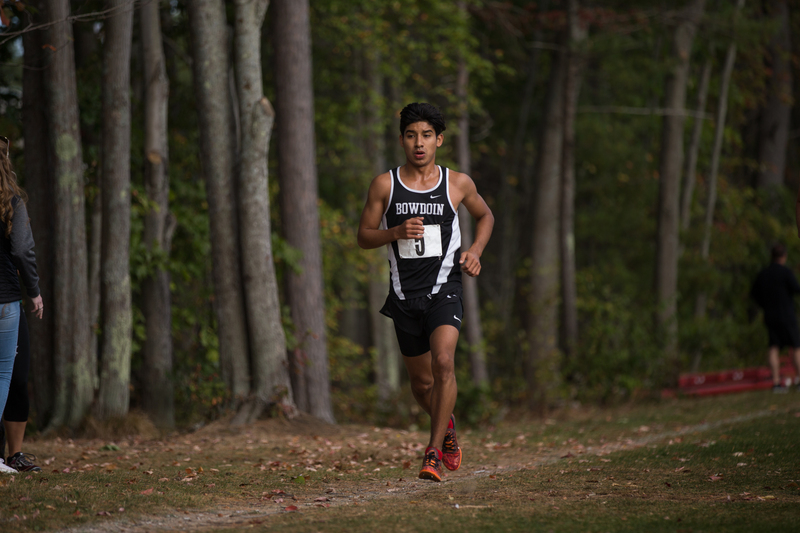 Dennil Erazo ’21 races in the Bowdoin Invitational II. No matter how hard runners train or how experienced they are, the race may come down to what they are thinking. “[It’s] what you’re telling yourself in the last mile of the race,” said Kelley, who raced at Nationals last year. 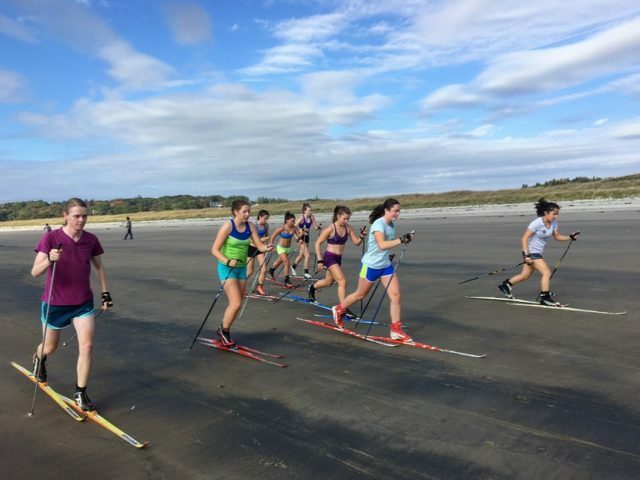 The New England region is the largest of cross country divisions and known as the most competitive, according to Kelley. The top two teams from each men’s and women’s regional race around the country are automatically invited to Nationals along with the top seven individual runners at each regional not on these teams. The remaining 16 at-large bids for teams are allocated by a national committee. Recently, the New England region has been receiving progressively fewer bids. Some believe the politics that go into these Nationals selections do not give New England competitors enough credit for their fierce competition. Torda will compete in the National Championship on Sunday. He is currently seeded 65th in the nation, with the goal of ending in the top 40s. There will be a livestream of the race projected in the 16th floor of Coles Tower at 11 a.m. open to all students.